This handsome boy came to MHARF from a large ASPCA humane seizure in North Carolina. He was a stud at intake and has recently been gelded. Patriot stands 17hh and was foaled in approximately 2011. 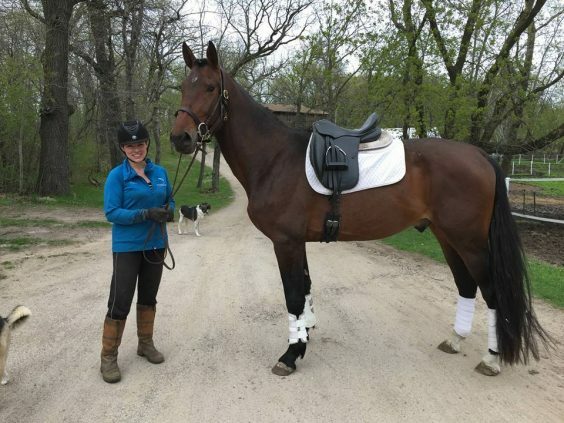 We believe he is a Westfalen (a German warmblood breed) due to information from the ASPCA humane case. All of the horses from this case have severe trust issues and Patriot is no exception. This summer he competed in the Trainer’s Challenge with Andrea Keacher. Follow Patriot’s journey with trainer Andrea Keacher here!